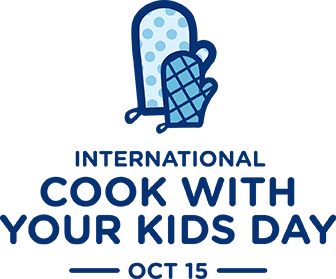 I’m excited to be working with Uncle Ben’s to kick off the first annual International Cook with Your Kids Day TODAY, October 15! 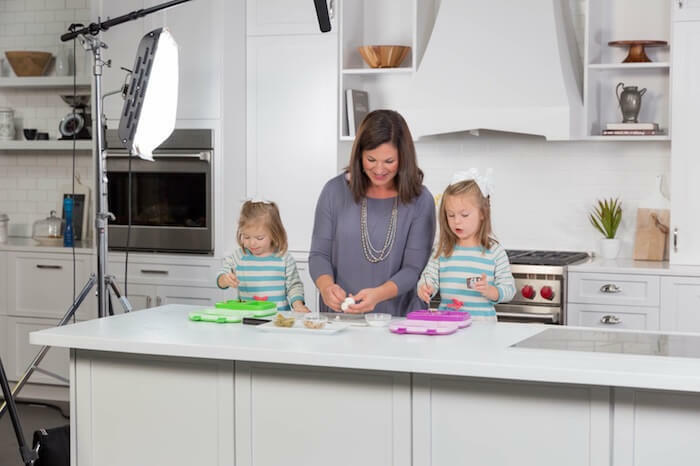 As a mom and registered dietitian, I know first hand the importance of bringing my children into the kitchen to help me cook regardless of just how massive of a mess we may make or how quickly we need to get dinner on the table. Becoming more intentional about the time we spend together in the kitchen not only helps to foster our relationship but helps them build confidence in the kitchen as well as improve their reading and math skills. 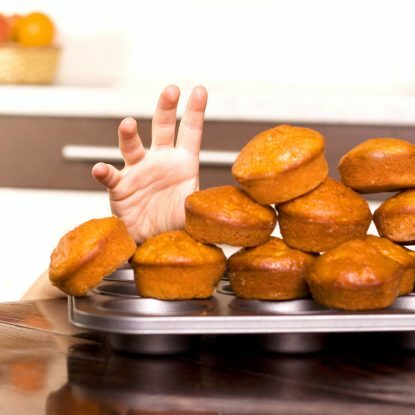 A recent survey of 4,000 parents of children under 18 years old found that 96% of US parents feel it is important that their children know how to cook or bake but only 33% cook with their child weekly and less than half monthly. When I think about those statistics they seem alarming but when I take some time to reflect on my schedule and how often we are able to cook together, I get it. 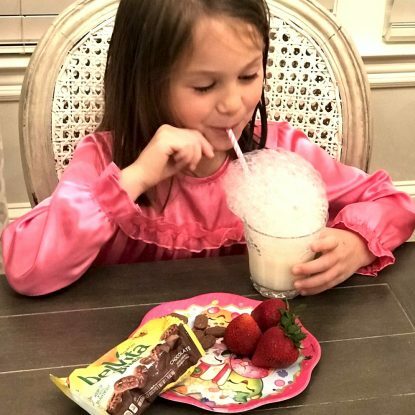 Cooking with the girls is something that I have had to make a priority because it just doesn’t always happen naturally—especially when extra curricular activities and homework get in the way. Cooking takes time and as a working mommy (mompreneur as I like to call it) just putting something (anything!) on the table to call a “meal” feels like a huge fete (and yes, on some nights cereal certainly counts as a meal—no one said we have to get gourmet). 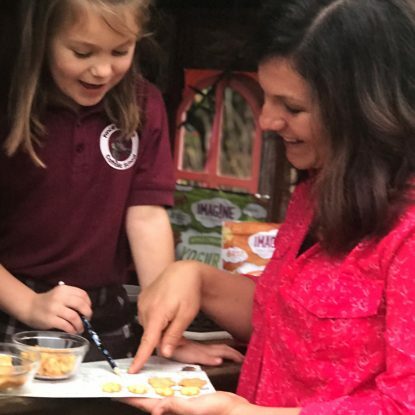 I talk to moms daily through the blog and on social media and the number 1 frustration many have is that they want to feed their children healthfully through home-cooked meals but they just don’t have time. I’m right there too and I get it. However, as parents, spending time together in the kitchen can be just as valuable as spending time together reading a book. I’ve try to make the most out of the time we have together cooking by exploring new foods, tastes, textures, kitchen gadgets, and preparation methods and when you think about what that entails—math, science, reading, etc. it makes sense why cooking is so beneficial for children. In fact, there are studies to back up just how important it is finding that it helps to improve math and reading as well as teach balance and confidence. What Can WE Parents Do? I’m including myself in this “we” because even as a mom whose children are comfortable in the kitchen and who sporadically want to join me, my goal is to make our cooking time more intentional. Now that the girls are back in school I have been trying to do more meal planning for personal reasons such as reducing food waste, saving money, making better food choices, exposing the girls to new foods, minimizing stress, having more time to play in the afternoon, etc. and now, I’m going to add for educating my children. My plan is to pick 1 meal each week for each of the girls to help me plan and prepare. Frances and I bake muffins on the weekend and I have fallen in love with our little tradition (check out my Instagram feed to follow along each weekend) but I need to establish something similar with Ellie. So this is the fun part…this summer I teamed up with Uncle Ben’s to create the Ben’s Beginners Cooking Lesson Recipes all of which are simple and fun recipes using a variety of ingredients (obviously rice as well as canned and frozen veggies, meats, cheeses, grains, etc) for the Ben’s Beginners program. Uncle Ben’s took those recipes and created a program to especially for parents and children to get in the kitchen together. They’ve broken down the recipe and shared step-by-step images to take the guess-work out of cooking and to help build confidence. Once you’ve made your favorite recipe (either one in the Ben’s Beginners program or just one of your own), share it and tag #lookwhatwemade for the chance to win. Submit your picture at beginners.unclesbens.com until 11:59pm ET on October 16, 2016 for the chance to win $15,000 for your family and $30,000 for your school kitchen. Love watching the Grainger Girls in action? Check out more of our videos on my YouTube channel launching every week! Don’t forget to subscribe!! With so many food and nutrition challenges to be met, I love when a company commits to being a part of the solution. A campaign, cause, effort—whatever you want to call it—that is authentic and has great impact. I so agree! They’ve done an awesome job with the program!